As I think about Lighthouse Tabernacle Church approaching its 22nd anniversary, it is amazing how quickly 22 years passes and how much has changed in that time. For example, many of our children are adults now, some with families of their own. Some families have moved on, while new families have joined our flock. Some of us who were just starting out in our walk with the Lord are now ministering in divine callings we discovered in our going, while God has moved others into new and different divine assignments, all according to His will and good pleasure. Culturally speaking, we live in a nation whose values have shifted dramatically. Things and ideas that are accepted today would have been considered unthinkable and even ridiculous 22 years ago. 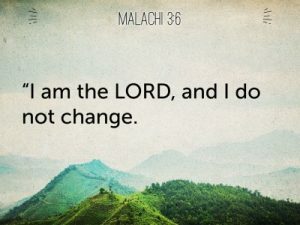 The good news however, is that God never changes! With that, God’s plan for our individual lives and the way He has created us to neatly and perfectly fit into the body of Christ (His Church) doesn’t change; this includes His plan and purpose for Lighthouse Tabernacle Church and the other churches that make up the body of Christ on Staten Island. The only question is whether we will allow Him to take us through the process of building and refining our character so that we’ll be able to fulfill and sustain those plans until Jesus returns, bringing glory not to us, but to God the Father, and the Lord Jesus Christ! Though we have seen changing and challenging times over the past 22 years, and I expect that will continue to varying degrees, I am fully persuaded that the best days of Lighthouse Tabernacle Church are ahead of us because the Lord has told us as much! As we’ve continued to pray and intercede for our people and families, our community, our city and our nation, the Lord has encouraged us to not be afraid, but to be courageous and to keep building what He has called us to build from the day Lighthouse Tabernacle Church was founded. So I’m passing on to you that which we have received from the Lord. Wherever you are in your walk with Jesus, don’t be afraid! Instead, be courageous because He has chosen you and called you by name! Be ready for the Lord’s return by being “dressed and ready for service”, discovering and doing the Kingdom work God has entrusted you with in integrity (Zechariah 8:16-17), and in accordance with the abilities He has gifted you with (or where the need is) as you go! Because of who God is, we have every reason to be optimistic and believe His report! Remember, the Kingdom of God is an eternal Kingdom—Christ’s Kingdom shall have no end (Isa 9:7; Dan. 2:4) and the Kingdoms of this world have and will in fact become the Kingdoms of our Lord and of his Christ! (Rev. 11:15).